It's that time of year! Back to School! and I'm so excited to participate! 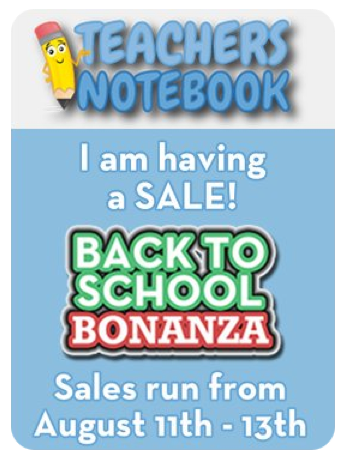 The TpT sale runs August 12-13! 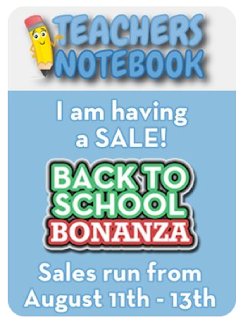 and TpT is offering an additional 10% off for a total of 28% off products! TN is running a sale and sweepstakes from August 11-13. 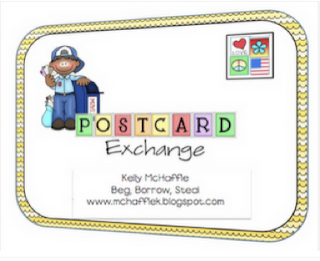 Click here to go to TN! 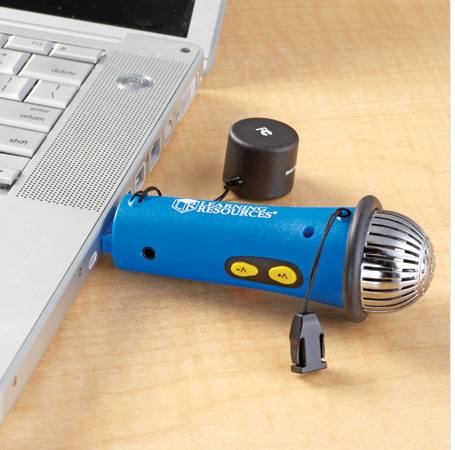 One last chance to enter my Learning Resources Easi-speak giveaway! Have you joined The Postcard Exchange at Beg, Borrow, Steal?? She is still taking participants in the following states, Alabama, Alaska, Colorado, Hawaii, Idaho, Minnesota, Montana, Nevada, New Hampshire, New Mexico, North Dakota, Rhode Island, South Dakota, Utah, West Virginia, and Wyoming! What are you waiting for?? Click here to sign up!